The trusted and proven company that guarantees customer satisfaction. We provide a full range of electrical services, including data installations. We are members of the leading governing electrical bodies to provide peace of mind that work is carried out to the highest standard. We provide a full range of repairs and installations of all plumbing, heating, soil/waste and ventilation systems. We are a Gas Safe Registered Company. We have a dedicated and experienced team that are available for the design, installation, after sales services and maintenance of any air conditioning systems. We are a Refcom Registered Company. We carry out building and refurbishment work of commercial and domestic properties. We are Construction Line accredited. Reactive and planned maintenance services to keep everything running smoothly, with minimum disruption to your business. We consistently achieve a high standard of work and have increased our knowledge of the electrical & mechanical industry over the past decades. 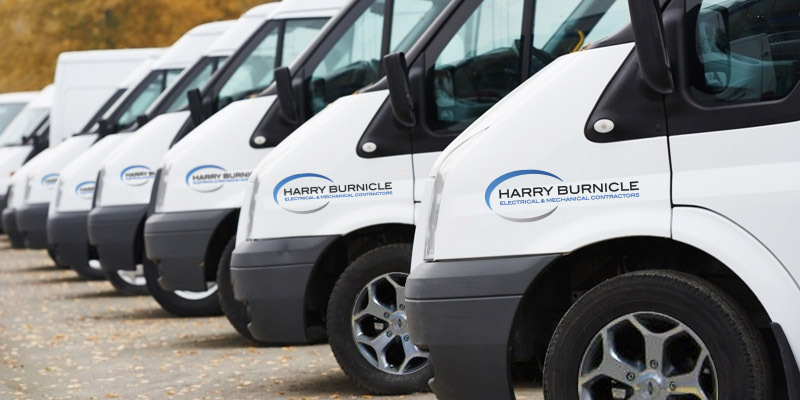 Harry Burnicle Electrical & Mechanical Contractors are members of various governing bodies which provide assurance that we have expertise in our given fields of work. Harry Burnicle Electrical and Mechanical Engineers, incorporating Airco, are based in Sunderland, Tyne & Wear. We provide electrical, plumbing, air conditioning and refrigeration services to local, national & international customers. Get in touch today on 0191 567 6780.